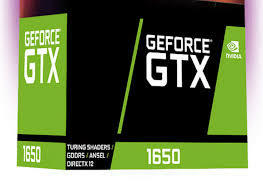 As a GTX 1050 successor, the GTX 1650 GPU is rumored to integrate a TU-117 core clocked at 1.48 GHz, faster Turing shaders, and 4 GB of GDDR6 VRAM. The number of CUDA cores and the TDP are not yet known. Launch date should be close the end of March and MSRP is believed to be around US$179. The RTX 2000-series from Nvidia is the first ever family of gaming GPUs to launch without entry-level and mid-range models. The RTX 2070 / 2080 / 2080 Ti high-end cards had some initial production problems, making them quite overpriced at launch, and this affected Nvidia’s revenues and share prices. As the green team is slowly getting back on its feet after the crypto decline and the GTX 1000-series oversupply problem, models from the lower end of the new 12 nm series are starting to pop up. The RTX 2060 was launched in mid-January, four months after the high-end cards, so Nvidia could not really capitalize on holiday sales. Furthermore, rumors about non-RTX Turing cards started making the rounds immediately after CES. We already know about the GTX 1660 cards that are supposed to be a bit faster than the GTX 1060 Pascal GPUs, but it looks like Nvidia is also considering launching a successor for the GTX 1050. According to Tum Apisak and Videocardz, the GTX 1050 successor is dubbed GTX 1650 and it, too, will be stripped of the RT and Tensor cores. However, the new Turing shaders, as well as the jump to 12 nm and the GDDR6 memory should provide a decent performance boost. The GTX 1650 is supposed to integrate the TU-117 version of the original high-end TU-102 GPU and will come coupled with 4 GB of GDDR6 VRAM. Tum Apisak claims that the base GPU clocks would be set to 1,485 MHz, with the memory bus being limited to only 128 bits. The number of CUDA cores is not yet known, as is the case with the TDP (presumed 75 W?). Videocardz cites a US$179 MSRP and the launch date should be close to the end of March.